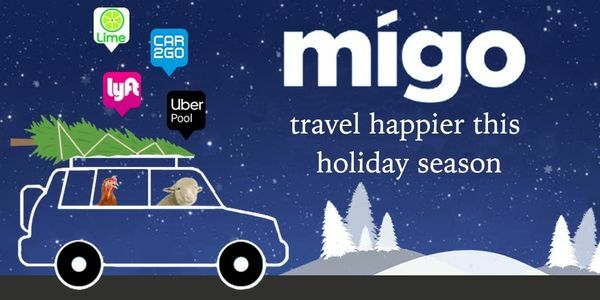 Ride Share, Carshare, Taxis, Bikes, We’ve Got You Covered in Nashville with Migo! There are 47 ways to get around Nashville, Tennessee, and 25 of the best ways are available through an app! Choose between 3 carshare, 11 taxi, 19 rideshare, or 14 black car/limo companies. The best 3 ways to get from A to B in Nashville are on Migo. Whether you need the closest, cheapest, or fastest ride, Migo has all of them in one app. Scroll down to see all the different transportation apps available on iTunes or GooglePlay. Choose from one of the providers below to help you get around Nashville today. Swing by the Whiskey Kitchen to admire their global collection of whiskeys and enjoy some pub snacks before braving the Nashville crowds. If you don't mind waiting in line, head to the Pancake Pantry for breakfast! The earlier you get there, the less you'll have to wait! If you have a bit of a sweet tooth, head to Christie Cookie Co for some old-school treats! Head to the Lipstick Lounge for a fun evening of trivia, karaoke, or dancing in this friendly atmosphere! With live shows and backstage tours every week, the Ole Opry is a must-visit! Sign up for the 5K on the Runway, which benefits a nonprofit called K9s for Warriors! Check out Bluebird Cafe's website for all the details on upcoming shows and events! Visit the Parthenon to admire the classical Greek architecture on the beautiful park grounds. Read about what's new at Migo in Nashville.